Situated at just 3 minutes’ walking distance from the beach, Matoula Apartments provide comfortable accommodation to those seeking a venue close to the beach. 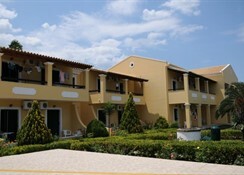 The hotel is located at just 41 km from the famous Corfu Port. 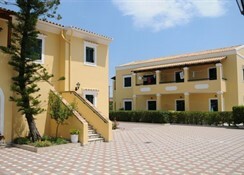 Matoula Apartments are budget accommodations for the economical tourists. These apartments are just 1km from the famous Folklore museum of Acharavi. This family run property offers self-catering units with private balconies. There is a pool and a poolside bar-restaurant. Guests can visit the central town of Acharavi at just 150 meters from the Matoula Apartments. 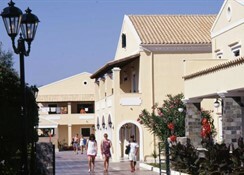 The central town features cafes, mini markets and traditional taverns. Guests can enjoy free parking and free Wi-Fi on site. Situated close to the beach, the Matoula Apartments provide plenty of sightseeing as they are also quite close to the central town of Acharavi. Guests can visit the scenic bay of Paliokastritsa at 25 km. The main town and the port of Corfu are also nearby at around 35 km. The rooms here are quite simple and yet clean and comfortable. Guests can find a TV, kitchenettes and electric kettle in every room. The air-conditioning is available on chargeable basis. The en-suite bathrooms are equipped with a shower and a hairdryer. There is an outdoor pool here along with a children’s pool. Guests can enjoy a few drinks at the bar. 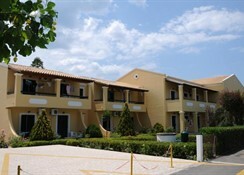 The on-site restaurant serves breakfast and lunch in delicious Greek and international cuisines. 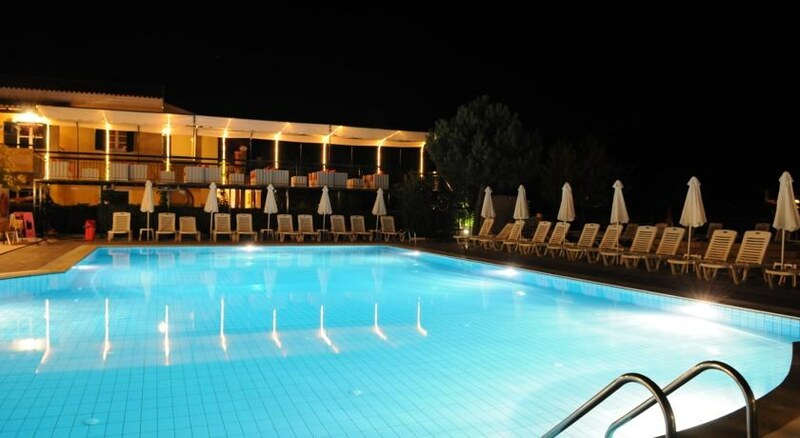 A wide variety of refreshing juices, coffees and drinks are also available by the pool. Although there is not much on the recreation front being a low-key property, guests can soak in the inviting outdoor pool and enjoy refreshing drinks at the same time. Guests can enjoy some quiet time reading their favorite books from the library here. The hotel arranges for shuttles to various nearby locations at an additional charge.